We attended the Labrador National trials held in Adelaide, South Australia in June 2016 as part of our holidays, thinking it would be a fitting finale to Saint's trialling career, little did we know what a fitting end it would be. Rocky and I are relatively new to trialling with Saint being only our second dog, Connor was our first who we trialed in obedience to UDX, tracking, agility and retrieving, being a rather conventional Labrador mix of show and retrieving lines, (Coningsburg/Bambillay). For our next dog we wanted a dog with a bit more drive to be the honoured recipient of our newly acquired training and handling knowledge, experience and techniques we had gained in the preceding six years. We decided this time we would go for a full retrieving line bred dog for their soundness, drive and enthusiasm. Through the retrieving trials we had met Noel and Kate Eltringham and seen some of their dogs performing, liked their size and drive. We were lucky enough that they had a litter, with a yellow male available, so we got Saint or Reveirter Cup Saintly. The litter being born on Melbourne Cup Day were all named after cup winners, some of his litter mates being Think Big and Makybediva. Following the prevailing training method of that time we let Saint be a puppy for a year before any serious training began, little did we know we had already missed the boat? These days serious training begins at 8 weeks. Saint started with the usual baby puppies, then puppy obedience travelling through the ranks at our local dog club until we started trialling making steady progress through the ranks until the open class was reached, this proved to be a stumbling block with his retrieving drive, fetching the dumbbell was a difficult exercise. The retrieving part worked fine but he would then race around in and out the ring proudly showing all and sundry his prize. Most of the comments from the judges and spectators were on his enthusiasm and his ever wagging tailed, named by our nephew as the "whipper snipper of death". Most of his fails were for picking up the wrong item, be it glove, judges markers, cones etc. His good nature, enthusiasm and willingness to work allowed us to trial him in a number of disciplines. In obedience he gained his UD & O. Ch and despite countless attempts and multiple training methods and handlers, he never gained a pass in UDX. In retrieving he achieved his AARD and his highest achievement was a first place in an All Age Retrieving trial in a 2 dog final run against a former national champion and making it to the last run of a state championship. His main fails in retrieving were voicing and singing at the pegs, breaking, picking up the wrong bird or in the wrong order. 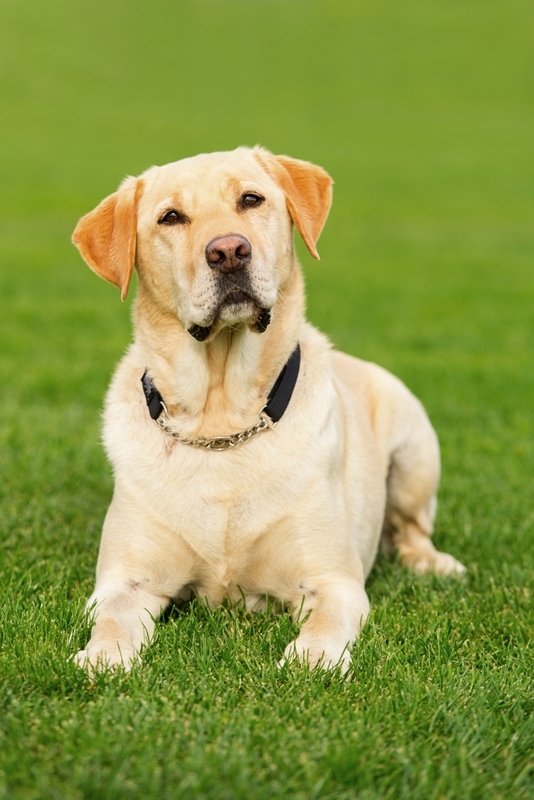 His retirement from retrieving was due to handler errors putting unnecessary pressure on him. He achieved his TD, late in his career but lack of training and his preference for fetching things made his tracking style difficult to read, you could never really tell if he was on a track or tracking a rabbit. With the introduction of rally there was a new endeavour to attempt. He achieved his RAE after much effort to teach him toys and food were for playing with outside the ring not inside. One judge wrote on his score sheet after another D/Q "got the bunny". In agility and jumping he was an early dropout due to his preference for knocking down bars and doing burnouts through the tunnels multiple times. Unfortunately he had to jump 600mm which made it difficult for him. Many a time a judge or a spectator has commented usually after an embarrassing fail on Saint's enthusiasm, then asking his name to which the sheepish reply would be Saint. A degenerative lumbar vertebrae condition, which pulls him up lame after too much exercise, brought about by 10 years of an over active lifestyle, training and never ending tail wagging prompted us to prepare for his retirement. We attended the Labrador only trial in Victoria in May and entered the Labrador National in SA in June thinking it would be a fitting send off. We entered Saint in all the categories he was eligible for in the thought we could scratch him if it proved too much. Do on the Friday he was entered in UDX and Open Obedience, Rally Masters and Open RATG. Quite a busy day, fortunately the weather was cool and overcast, and the ground was damp, perfect conditions for a well seasoned Labrador. At the Labrador National Saint was only one of two dogs entered in UDX and he gained a first place but failed to gain a pass. In Open he gained first place, a pass and highest score in the trial. On the day in obedience he was the only dog to get a pass, for some reason the grounds proved to be a fatal distraction to the other dogs and I feel it was only Saint's experience and willingness to please that got him through. In Rally Masters he gained a pass with a score of 90/100 his one fault was not backing up, it just goes to show you can't always teach an old dog a new trick. In RATG Open he got a first place and a pass. That was all in one day, he couldn't possibly have done any better. For a 10 year old dog this was the ultimate performance, at a National competition, in front of his breeder and long time fellow competitors. At the end of that day we officially and publicly retired Saint. Usually a dog's name has an influence over his temperament or peoples reaction to it. In Saint's case it was the good old Aussie tradition of the name being the opposite of the personality, in other words Saint was no Saint.